Ever been attending a book club? Reading a book and talking about it, analyzing it and interpreting it. Well…we do have a PAF reading circle in Chinkonono now. Well…it is probably not quite as professional and conversations might not be as deep. 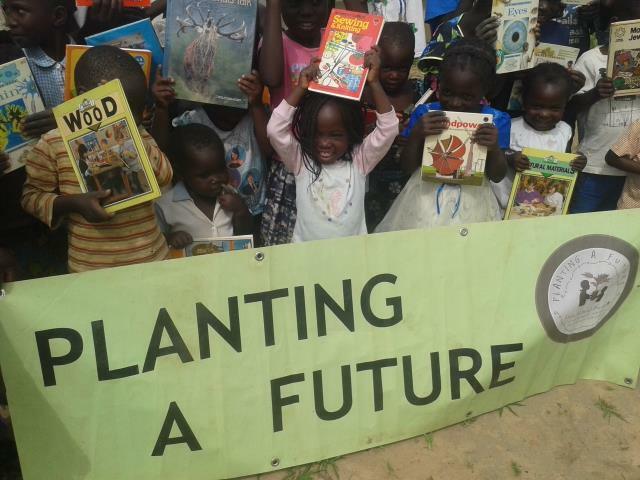 But our kids gather at our PAF Center regularly after school to read books and exchange stories they read. Meanwhile…our new sewing room and libray almost look like a house now. We are so happy about the progress and can’t wait to officially open the building for our PAF members and community. And finally hard work pays off…James Silubo’s roasted maize for lunch! So worth the sweat 😉 Enjoy your lunch! 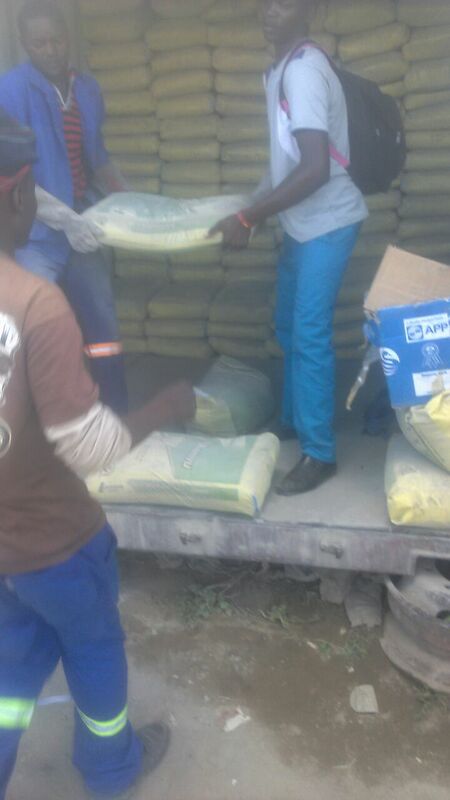 The guys in town have been loading cement on the truck to Chinkonono Village so that we can now start with the floor. You heard about TIA…This Is Africa 😉 Everything seems to be working in a slower pace, so does our construction side for the sewing room and library. But eventually we will get there. It is all in the making and we are hoping to finish the building very soon, and still according to our building schedule. It is just a rough task to construct a building with close to no financial means. But we wouldn’t be Planting a Future if that would throw us back. You know that we actually planned on constructing 2 separate buildings for sewing room and library. 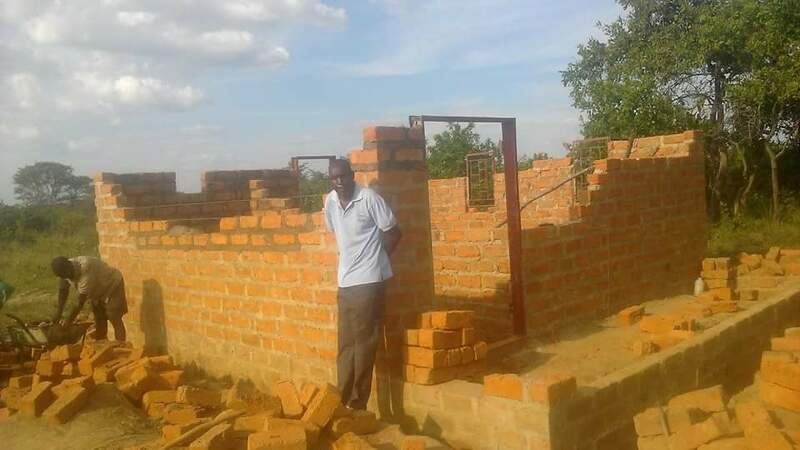 Due to some chronic shortage of money we decided to set up both in the same building until we find the financial means to construct a second building. The building measurs 6m x 6m. There will be 2 rooms in the building. The bigger one will temporarily be used as library and reading room. The smaller one will be occupied by our PAF ladies to store materials and the sewing machines and sell and display clothes they tailor. 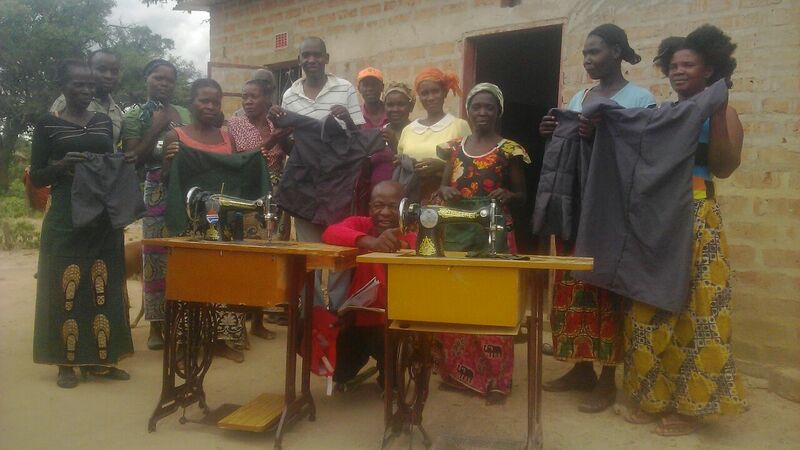 For the time being they will sew and tailor outside. This also creates quieter environment inside for kids to read and study. We hope to get the roofing fixed by end of next week, so that we can start flooring and plastering the week after. Then its only painting left. We recieved a generous donation from Bruni so that we can buy some cement and paint to finish things up. Thank you so so much! We already bought some timber to have furniture made. So we are planning to have 12 chairs and 3 medium-sized tables. 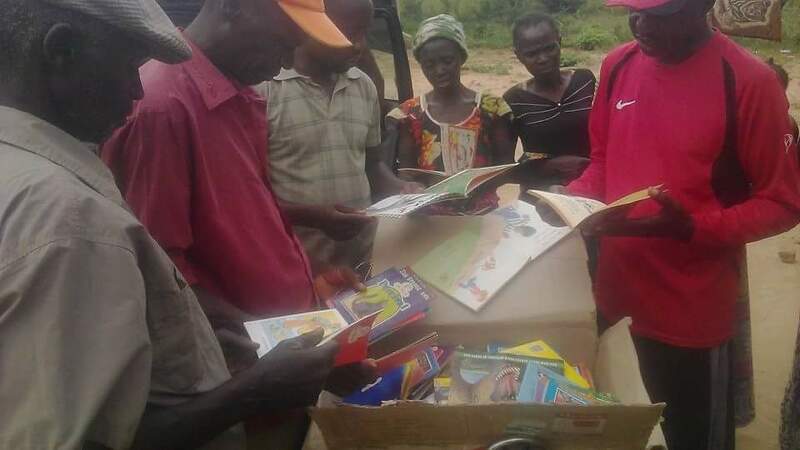 But still we are looking to raise money for doors, windows and shelves. So very soon we will be able to move all the books into the new building. Though we are still facing the problem of light inside the building because we do not have power to install lamps. So if anyone has a smart idea how to get bright lighting inside that suffices for reading and doesn’t require electricity…feel free to contact us about it. 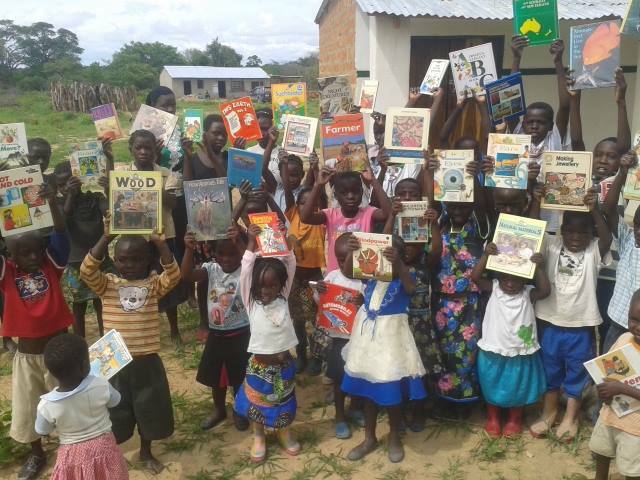 Thanks again to Murray and everyone who donated and sent us books so far! Also we are very happy to announce that our dear friends from Repairer of the Breach donated another sewing machine for our ladies. So soon we will be able to work with 3 machines. We are humbled and so grateful.